New York, 8 September 2017 - To promote the implementation of the Declaration and Programme of Action on a Culture of Peace, the President of the General Assembly hosted a High Level Forum “Sowing the Seeds of the Culture of Peace: Early Childhood Development is the Beginning”, at UN Headquarters, New York. 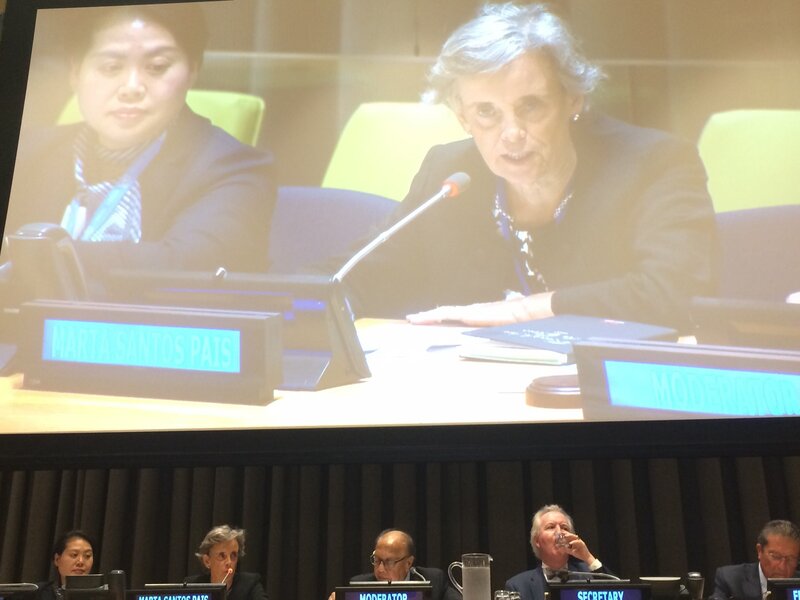 SRSG Santos Pais recalled the commitments made by the international community in the 2030 Agenda for Sustainable Development to end all forms of violence and provide inclusive and quality early childhood education for all children. She stressed that a nurturing and caring environment helps to secure children’s health, nutrition, protection, early learning and sense of belonging: "By enhancing a child's self-esteem and helping to overcome stress and adversity in their lives, investment in early childhood care and development sets the foundation for a person’s whole future. But in addition, it is a cost-effective strategy which creates better health, education and social outcomes that in turn increase human capital, and reduce the need for costly social spending”. “Investment in early years lays the path towards justice, social cohesion and violence prevention; but when children grow up deprived of nurturing care and exposed to fear and insecurity this potential is compromised", she added. With the implementation of the 2030 Agenda, and through investment in effective prevention strategies, including social protection programmes to support families and positive parenting, the world has a golden opportunity to achieve social progress and ensure that children are respected as a zone of peace!" As the SRSG stressed, "Investing in early childhood and ending violence against children is first and foremost a question of children's rights. But it is also a smart thing to do, helping to break the vicious cycle of neglect, abuse and exploitation. And in addition it makes good economic sense, enhancing human capital and producing a high return for society!"